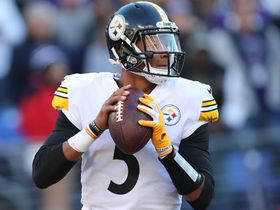 Dobbs will serve as the Steelers' backup quarterback Sunday against the Chiefs with regular starter Ben Roethlisberger (elbow) active for the contest, Dale Lolley of DKPittsburghSports.com reports. Dobbs has been taking reps with the first-team offense this week with Ben Roethlisberger (elbow) sitting out practices Wednesday and Thursday, Chris Adamski of TribLive.com reports. Dobbs is now the second-string quarterback behind Ben Roethlisberger, Dale Lolley of DKPittsburghSports.com reports. Analysis: Dobbs beat out longtime backup Landry Jones for the main backup job, with rookie Mason Rudolph securing the No. 3 spot on the depth chart. Dobbs played well in Thursday's preseason game against Carolina, completing eight of 12 passes for 151 yards and a touchdown and taking three carries for 18 yards and another touchdown. Dobbs completed eight of 12 passes for 151 yards and a touchdown and took three carries for 18 yards and another touchdown in Thursday's preseason game against Carolina. 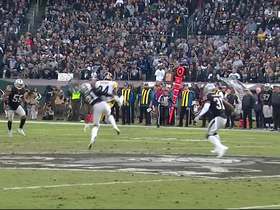 Analysis: Dobbs got the start and led the Steelers to 17 points on four drives, finishing the preseason completing 29 of 43 passes for 434 yards with four touchdowns and two interceptions, while also rushing 10 times for 64 yards and another score. 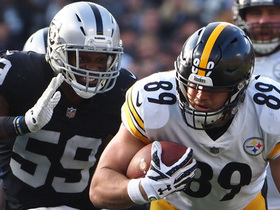 He did his best to push Landry Jones out of a roster spot, but the Steelers may instead try to find a trade partner for the 2017 fourth-round pick. Dobbs will start Thursday's preseason game against the Panthers. Analysis: Dobbs thus represents a lineup option for those trying their DFS luck in Thursday's full slate of preseason finales. More importantly, Dobbs' performance in the contest will help determine whether he or Mason Rudolph ends up as the Steelers' No. 3 QB this season. Dobbs won't play Saturday against the Titans but is expected to start the Steelers' final preseason contest next Thursday versus the Panthers, Mark Kaboly of The Athletic Pittsburgh reports. 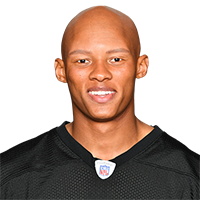 Dobbs will split playing time with Mason Rudolph in Thursday night's preseason game at Green Bay, Bob Labriola of Steelers.com reports. According to coach Mike Tomlin, the plan is "to focus on the young quarterbacks. They're going to play and play exclusively." 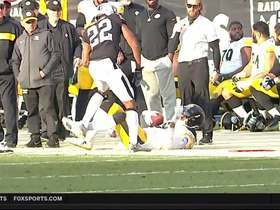 Analysis: The news of Ben Roethlisberger being evaluated as part of the league's concussion protocol likely had no bearing on this decision, as Tomlin added that Landry Jones will also sit this one out. Dobbs was third on the depth chart behind Roethlisberger and Jones last season, never taking a single snap, and the addition of Rudolph could result in either Dobbs or Jones failing to make the roster coming out of camp. Dobbs will compete with Landry Jones for a roster spot, ESPN.com's Jeremy Fowler reports. Dobbs was active but did not take the field in Sunday's win over the Browns.